Some months ago, way back at the beginning of 2013, I learned that emerald is the “color of the year”. Prior to this, I’m not sure I ever even realized that there WAS a “color of the year”. And, being a “love-everything-pink” person, I could not imagine myself becoming enamored with any shade of green. 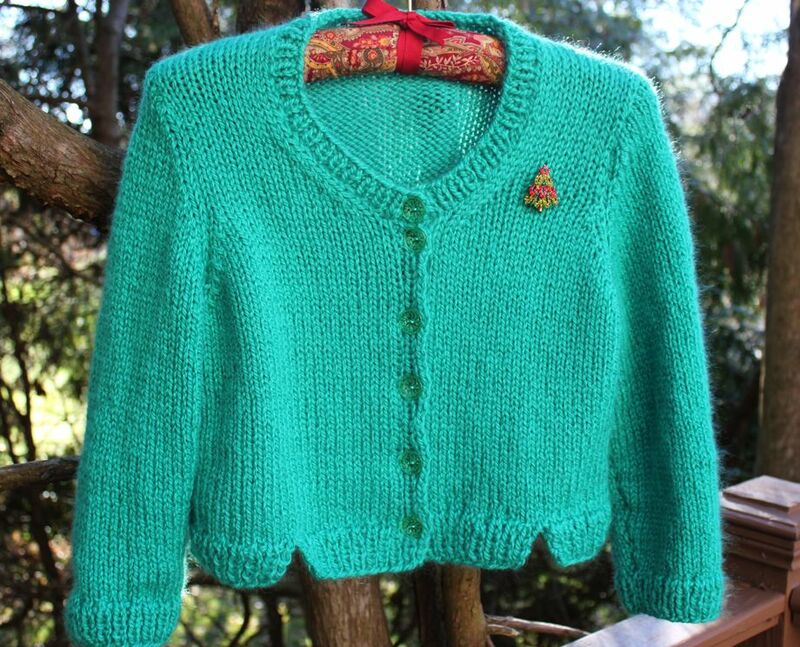 Fast-forward to November and (who’d have guessed) I knitted myself an emerald cardigan. The free pattern is Berocco Gardner, available from Ravelry or the Berocco website. The yarn is Juniper Moon Farm, Willa…Aberdeen…which I purchased at Webs. It’s a quick knit unless, like me, you’re easily distracted by all the other fun projects calling your name. I’ve read that Dazzling Blue is the color for 2014…and I think I love it! Great sweater for the holidays! Looks so soft and cozy…love the pin too!